Tip 1: “To provide the best search experience, search engines will rarely show multiple versions of the same content, and thus are forced to choose which version is most likely to be the best result. This dilutes the visibility of each of the duplicates.” ~ Moz. “At a bare minimum, every signal needs to reinforce quality, uniqueness, and relevance. Authority and Trust are more elusive, and absolutely need to be worked on; however, they’re generally more of a byproduct of the other work you do.” ~ Alan Bleiwess. Tip 2: “Many marketers really over-think what goes into each piece of content. They try to make sure that many different keyword variants are used, and that the main keyword is repeated multiple times. This is a surefire way to create subpar content that does not meet the user’s needs, and meeting their needs has to be goal number one. If you do what I said in my tip, and let good subject matter expert writers write, they will naturally use semantically rich content. Avoiding over-optimization also allows you to get more volume as well, because the writer is focused on doing what comes naturally to them.” ~ Eric Engel of Stone Temple Consulting. Tip 1: “There is no ideal word count. You can tell a story in 400 words or 2500 words. Write to what the topic deserves. “More” isn’t better. “Better” content is better.” ~ Danny Goodwin, Associate Editor, Search Engine Watch. Tip 2: “We look at our editorial calendar in two ways: the long game and the short game. For the long game, we have big content pieces planned at least six months in advance, and will tweak the topics when necessary due to changes in the industry, updates to our product, etc. For the short game, our editorial calendar is usually set four week out.” ~ Ashley Tate, Content Manager, BigDoor. Tip1: “I would take a six-month period and focus everything you can on building subscribers in one of your programs (let’s say, your email newsletter). Take out the sales messaging for a while, take out the unnecessary content, and just focus on building audience. How does that change your content? “Look at the CTAs in and around your site and improve them for subscriber growth. Often we are so busy extracting value from customers and prospects that we don’t focus on providing true value in our content products. 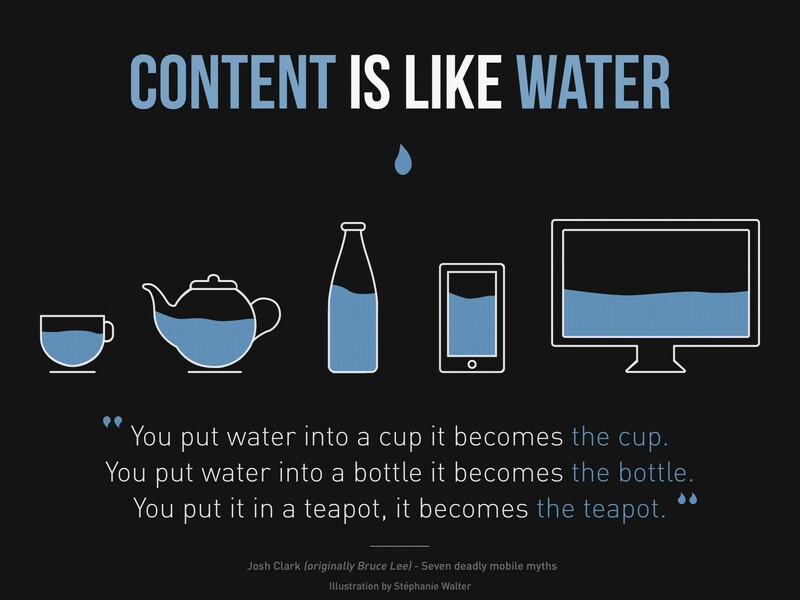 This will help you focus on that.” ~ Joe Pulizzi, Content Marketing Institute Founder. Tip 1: “…Well revenue is the mother of all metrics. Everything else is a vanity metric, an early indicator or both. Of those, I'm a big believer in shares. Shares by your target audience are the ultimate endorsement and are invariably a leading indicator that Wonga is on its way.” ~ Doug Kessler, Velocity Partners. Tip 2: “… most businesses will only invest in things that affect profits and sales. With that in mind, views and visits might not be best thing to focus on.” ~Chris Lake, Econsultancy. Tip 3: “Are your top-of-funnel results creating positive mid-funnel results? Do those mid-funnel results in turn mean you are hitting your strategic goals? By breaking it down this way, you can start to see whether there are specific strengths and weaknesses in your content marketing.” ~ Mark Walker, Eventbrite. Tip 1: “Look at Wikipedia. The site that ranks for almost every term out there and is the 6th most popular site in the world. Majestic SEO is showing that Wikipedia in total has over 600 million backward links, whereas the home page has roughly 6 million links. That means 1% of their total links point to their home page, while 99% goes to internal pages. Study Wikipedia’s linking and you will never go wrong.” ~ Neil Patel. Tip 2: Look at this page to know the mistakes you are making with your linking. Tip 1: “You can’t optimize for RankBrain. RankBrain is a deep learning algorithm performing unsupervised learning. It’s creating its own rules.” ~ AJ Kohn, Blind Five Year Old. Tip 2: “Google’s own engineers tell me and others they don’t even really understand how it works. Ultimately, the best way to “rank” for RankBrain remains that same boring thing no one wants to hear despite it being true. Have really good, descriptive content.” ~ Danny Sullivan, Search Engine Land. “Over an extended period of time, it will be very good if you execute your social media strategy correctly, but your initial ROI will probably be terrible. Imagine that it takes you 15 minutes to write a good post, and you submit it to your 15 followers. Now, imagine you create the same post, but for 15,000 followers. Which one do you think will have a higher return for your investment (assuming those followers are all genuinely interested in your brand)? It takes a long time for social media to start paying off.” ~ Jayson Demers, Founder and CEO at AudienceBloom. Did you find the above tips helpful? Click here to get more content marketing tips from Travel Agency Tribes consultants.